Each month I’m offering limited edition prints of photographs recently added to my portfolio. I often receive emails from art buyers regarding print sales and I thought that a print of the month is a good way for collectors to get their hands on my work at discounted prices. Each print measures 17” x 11” and printed by myself on Ilford Galerie Smooth Pearl paper using a Canon Pixma 9000 Mark II. There will only be 25 prints produced of each monthly photograph and it will be signed, sealed and delivered to you. I love street photography, but what do you call photographs taken on the promenade? Promenade photography? It doesn’t quite seem to have the same ring to it does it?! Well this month’s ‘print of the month’ is an example of the kind of candid photography I love shooting. It may not be to everyone’s taste, but then again I’m not that sort of photographer. I hope you like it and if you do please enquire about purchasing a print of it. If you are interested in purchasing a limited edition print of this photograph please fill in the contact form and I will contact you with all the information needed to get your hands on one. 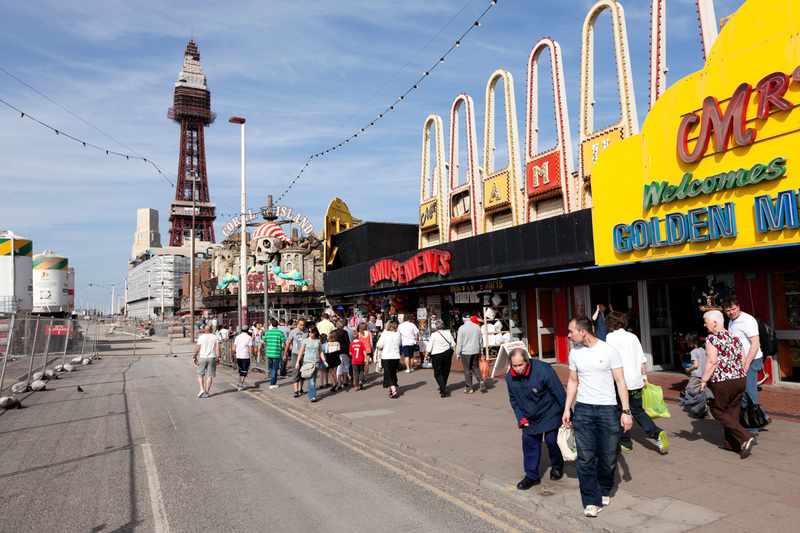 This entry was posted in Blackpool and tagged Blackpool, Golden Mile, Kite Festival, People, Promenade, Seaside.